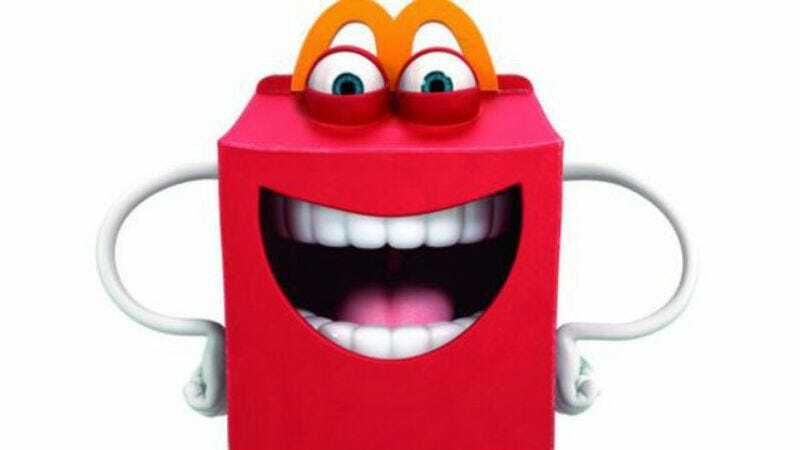 Earlier this week McDonalds introduced the world to Happy, a mascot meant to get young children to eat healthier options that are also somehow still McDonald’s. Though Happy undoubtedly made it through hundreds of hours of focus groups and rounds of executive approval, he’s still absolutely terrifying, as The A.V. Club noted earlier this week. As GrubStreet discovered, Happy doesn’t just scare adults. The food blog tracked down a bunch of unsuspecting youth and exposed them to the mascot, ultimately finding out that children aren’t immune to Happy’s humanlike mouth and cartoon dog eyes. They videotaped the whole thing, thank God, and the results are below.